Coconut popcorn? Oh yes and my it is good! As much as I love coconut oil even I was hesitant to try it! But my parents were in town not too long ago and made some for me to try. Gosh it is delicious! My six year old daughter absolutely loves it so it's a clean eating snack I'm thrilled to make her! Air pop about 1/2 cup kernels (organic is best). Set aside. Melt about 2 Tbls coconut oil into a small glass jar by running it under warm tap water. (Or you can set the glass in a shallow pan filled with hot water. Coconut oil melts in temps 76 (+ or -) degrees so it doesn't take long at all). Drizzle the oil over the popped corn and toss to coat. Sprinkle with sea salt to taste, toss again. If you are a regular reader of my blog you know the praises I sing about Coconut Oil! It's so yummy! I'll be making it next Sunday when you ladies come over! 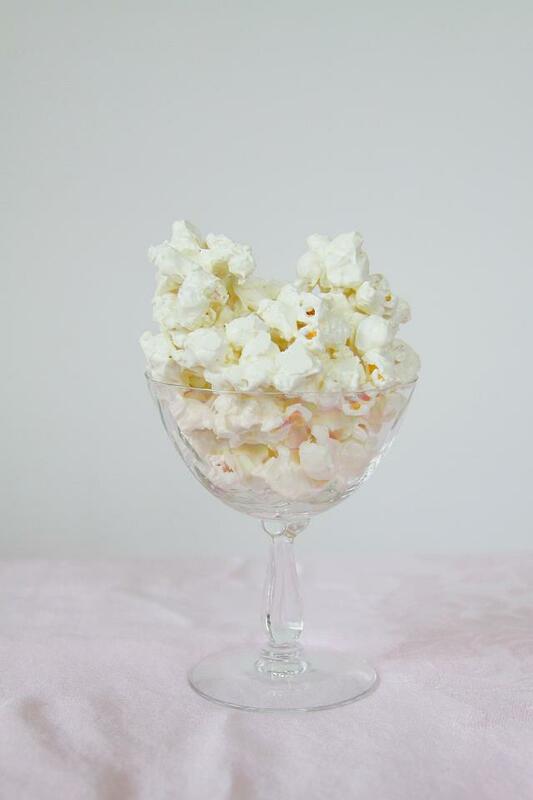 I use a couple of Tablespoons of coconut oil to pop 1/2 C. raw popcorn on the stove top. 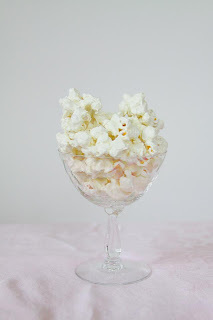 It leaves a delicious faint taste of coconut and the popcorn tastes even better the next day. Yes Donna that is another way to do it! Isn't it delicious? We just choose to airpop so then if we want a different flavor, say Olive Oil and fresh grated parmesan cheese and herbs, we don't have the base oil flavor. I popped corn in rice bran oil, poured 2 tbsp. or coconut oil over it, and added salt and artificial sweetener for a salty/sweet taste....yummmy!